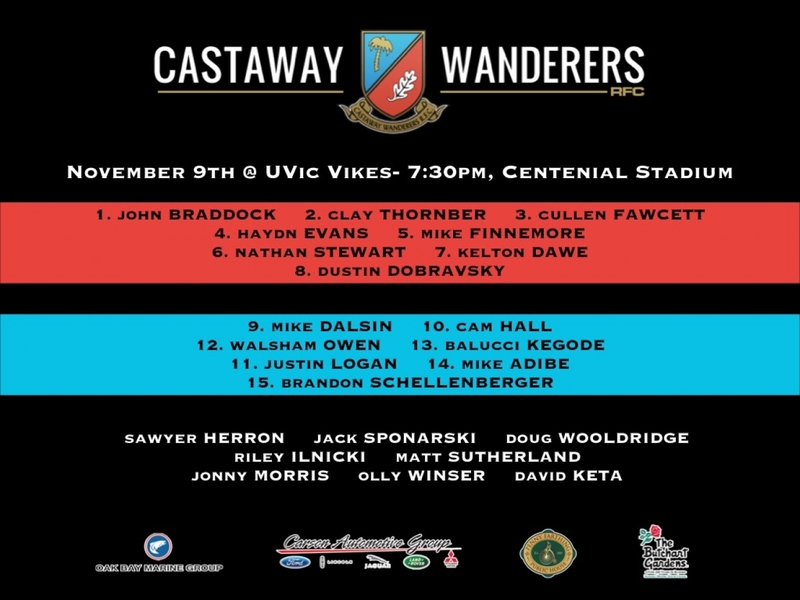 Perhaps on paper, the visitors, CW, might be deemed favorite however UVic are fielding a confident squad, led by their very capable and threatening link at #9/10 – Stewart and Bowd. CW’s newcomer, Hall slots back in at #10 and he will be keen to match his talents with Bowd. The Vikes will feature two KEY freshmen, former CW juniors, - Nick Carson and Lockie Kratz – Kratz can be brilliant but he will face a more experienced duo of Owens and Kenyan Hard Man, Kegode. It will all start up-front where CW’s FRF of Braddock, Thornber and newcomer, Fawcett, along with Sponarski and Woolridge off the pines should have the upper hand. This writer knows not of the Viking locks, Grant and Matthew however, in recent weeks, CW’s Evans and Finnemore, proving to be a CW golden, ‘foreign acquisition’ – best since Braddock, have been absolute ‘dope’. A CW backrow of UVic grads (Captain Stewart, Dawes and Dobravsky), should have more guile than their counterparts, despite the form of Carson and useful flanker, O’Neill. On paper, it would appear that CW should have the upper hand in the pack. The backs from both teams should provide plenty of fireworks. For Uvic, Stewart and Bowd; former Velox junior, Martin-Feek paired with his CW junior foe, Kratz; Kapi, in a change of jersey this season and a much-vaunted Morrison will provide the visitors with a handful. Their CW counterparts – Dalsin, Hall, Owen, Kegode, Logan, Adibe and Schelly will all be keen to excel. 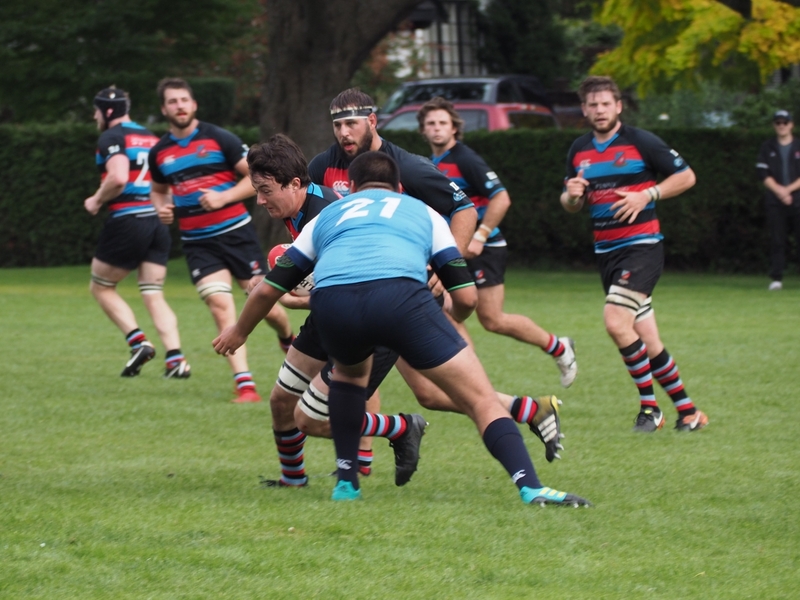 Don’t know much about the benches apart from Vikes, Hager who hugely impressed in a Tricolor uni; SLS grads, Findlay – a big center and Teufel – a feisty scrum half; will be up against Sponarski, Woolridge, ‘Wildman’ Herron, Ilnicki – on the improve, Sudsy, JoMo, Olly and ‘One-Eyed Wonder’ Keta, with the edge given to the latter group. On paper, I am a “homer” however, the ‘Dub seems to bring out the best from the Vikes with the outcome often going down to the wire, I suspect it will be another of the same ilk. Just comparing the differences in training of the two teams under the lights, alone, with CW’s conditions being archaic, would provide plenty of backers for the home team. A rare night game experience, it is to be hoped The Faithful show up in spades, for student support will be plentiful.